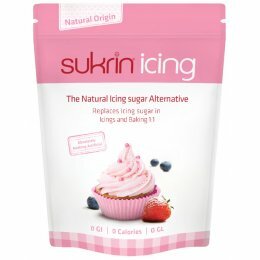 Sukrin make a fantastic range of whole food flours that are naturally gluten-free and low in carbohydrates, perfect for healthy cooking and baking. They also have an all-natural alternative to sugar that is free from calories and carbohydrates with all of the aroma, sweetness and flavour of regular sugar, and none of the aftertaste found in some sweeteners. They are passionate about helping people to live a healthier lifestyle.